The Chief Secretary for Administration, Mr Matthew Cheung Kin-chung, today (September 26, London time) began his visit in London, the United Kingdom (UK). This morning, Mr Cheung signed a Memorandum of Understanding on Cultural Co-operation (MoU) between Hong Kong and the UK. The MoU aims to facilitate and promote activities and exchanges between people and institutions in cultural fields and creative industries. 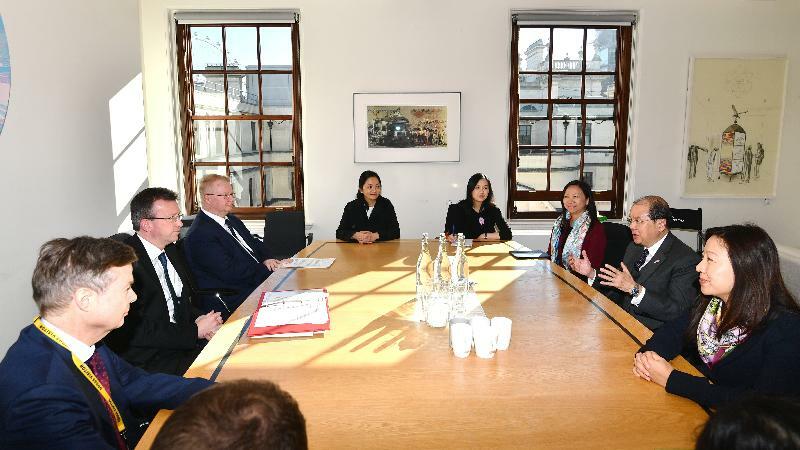 He then met the Secretary of State for Digital, Culture, Media and Sport of the United Kingdom, Mr Jeremy Wright, and briefed him on the latest cultural and sports developments in Hong Kong. Mr Cheung expressed his gratitude to the British Museum for providing precious cultural relics on loan to Hong Kong and co-organising a number of remarkable exhibitions in Hong Kong in the past, including the "Eternal Life – Exploring Ancient Egypt" exhibition held last year to celebrate the 20th anniversary of the establishment of the Hong Kong Special Administrative Region (HKSAR). 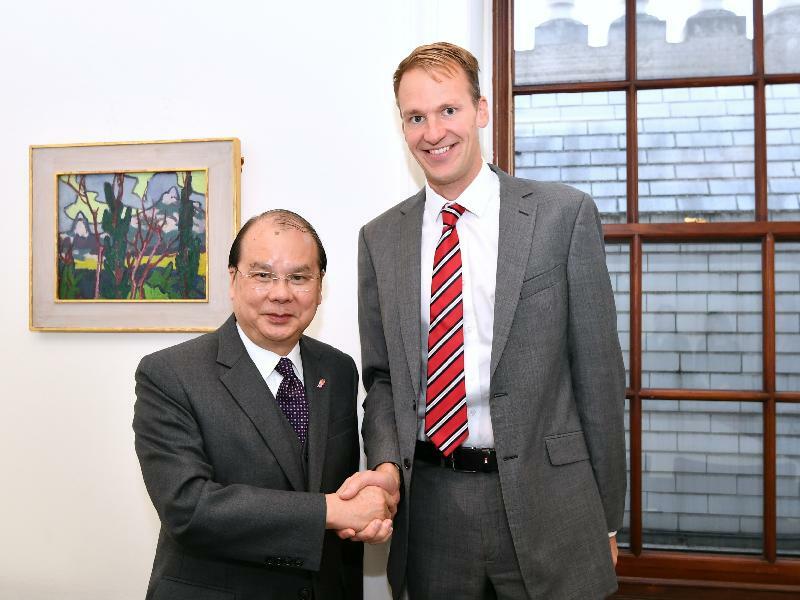 Mr Cheung encouraged both places to strengthen further collaboration in cultural and sports development. He also exchanged views with the Director of the Office for Civil Society, Mr David Knott, on youth policies. 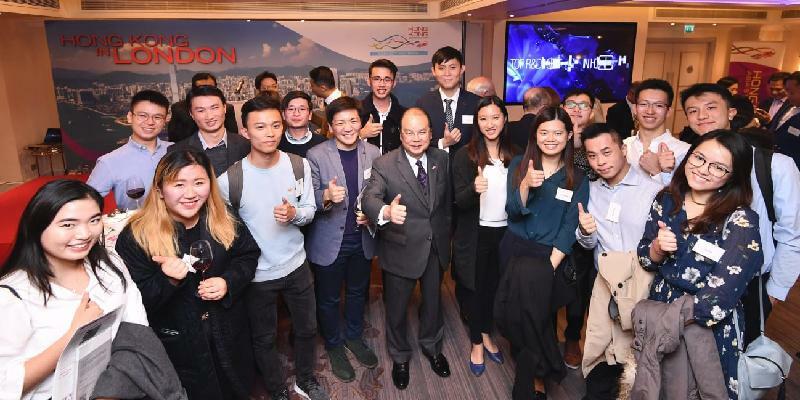 Mr Cheung said that the HKSAR Government attached great importance to addressing the concerns of young people on education, careers and home ownership, as well as encouraging their participation in politics and public policy discussion, so as to provide them with hope and opportunities for upward mobility. 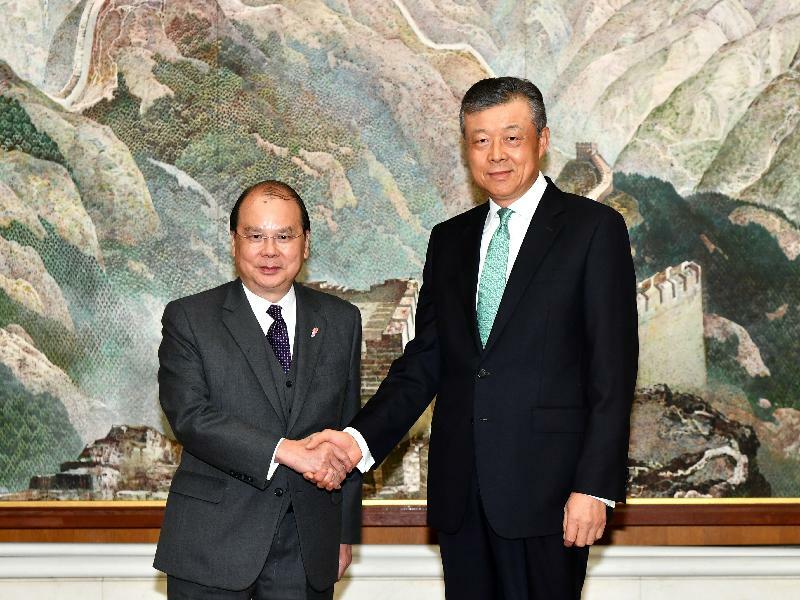 Mr Cheung then called on the Ambassador of the People's Republic of China to the UK, Mr Liu Xiaoming, and expressed sincere gratitude to the embassy for its continuous support for various exchanges between Hong Kong and the UK, and the assistance rendered to Hong Kong people in need. 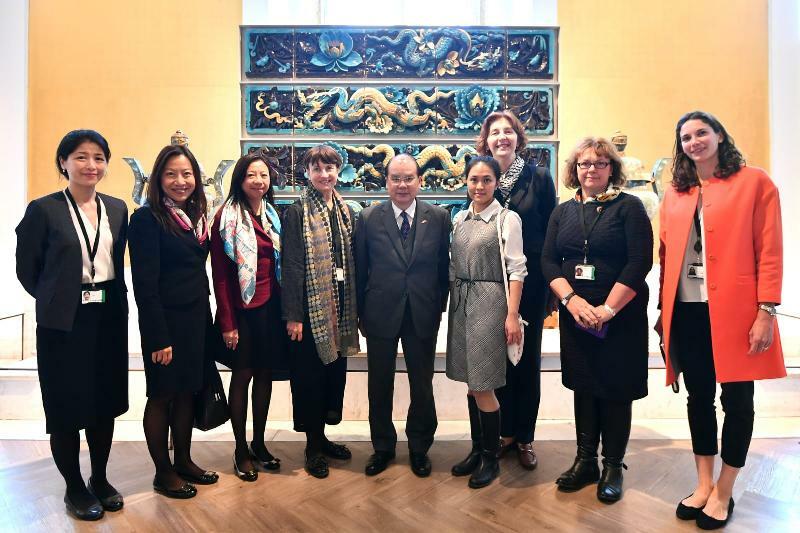 In the afternoon, Mr Cheung visited the British Museum and called on its Director of International Engagement, Ms Nadja Race. He expressed his appreciation for having the opportunity to meet Ms Race again after the opening ceremony of the "Eternal Life - Exploring Ancient Egypt" exhibition in Hong Kong last year. The exhibition showcased invaluable ancient Egypt artefacts including six mummies from the Museum's collection. 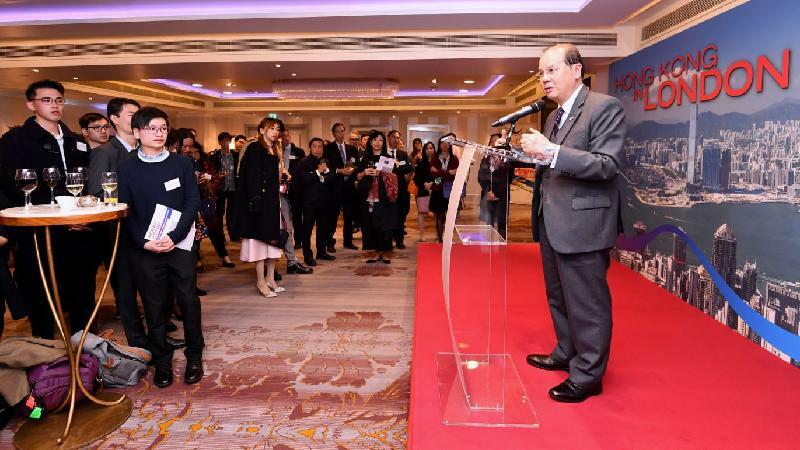 He thanked the Museum for supporting Hong Kong's hosting of exhibitions and providing invaluable ancient treasures repeatedly for exhibition in the city. 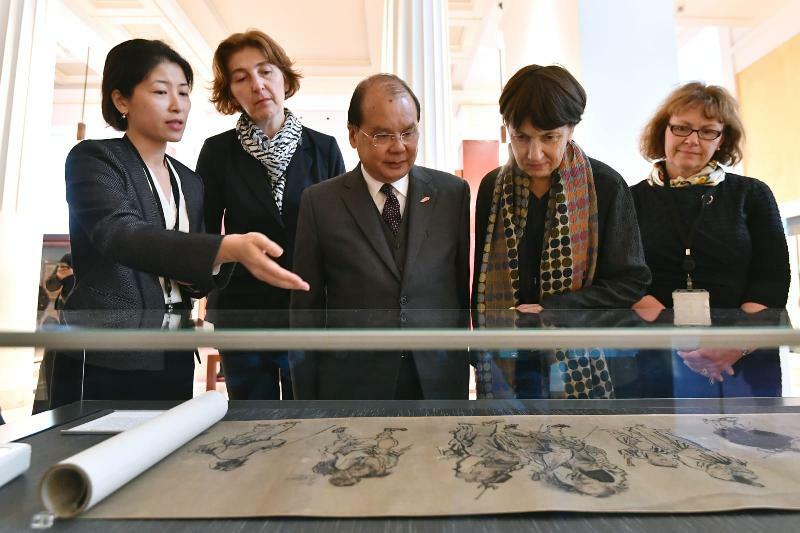 He also pointed out that Hong Kong, as Asia's world city, would continue to forge closer partnerships with world-class cultural institutions and looks forward to further collaborations with the Museum in the future. 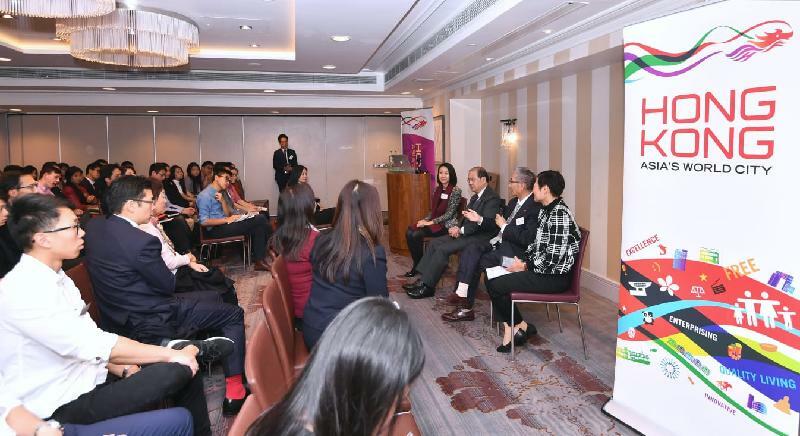 At a talk organised by the Hong Kong Hospital Authority (HA) in the evening, Mr Cheung encouraged non-locally trained doctors to work in Hong Kong and updated the participants on the substantial investment and latest developments of the hardware and software of Hong Kong's healthcare system. He said that the HKSAR Government would devote much effort and resources to continue to improve the city's healthcare system and services. The HA would ride on the newly introduced facilitation measures to proactively recruit qualified non-locally trained doctors to serve in Hong Kong's public healthcare system. Mr Cheung also welcomed UK medical students to work in Hong Kong after graduation. Mr Cheung later met with Hong Kong people living in the UK to understand their daily living and update them on Hong Kong's latest developments, particularly on infrastructure including the Hong Kong Section of the Guangzhou-Shenzhen-Hong Kong Express Rail Link, which commenced operation last week.